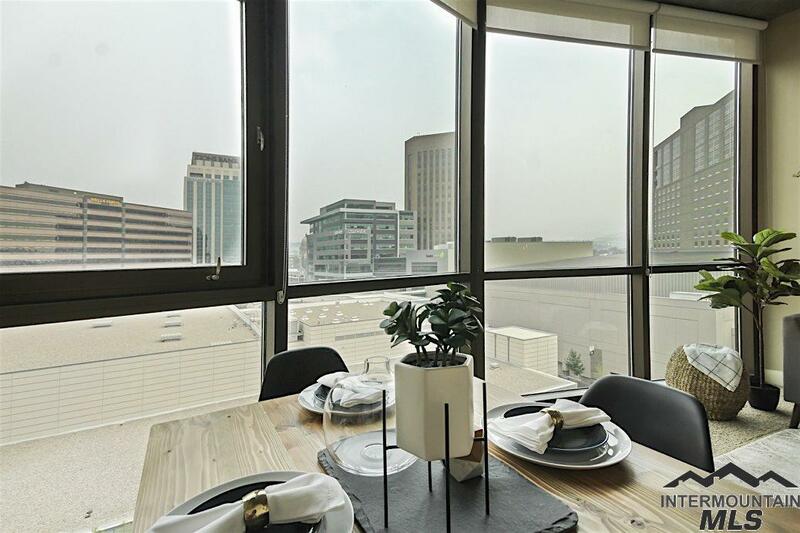 WHAT A VIEW from this 7th Floor flat in Boise's premier Aspen Lofts Building. 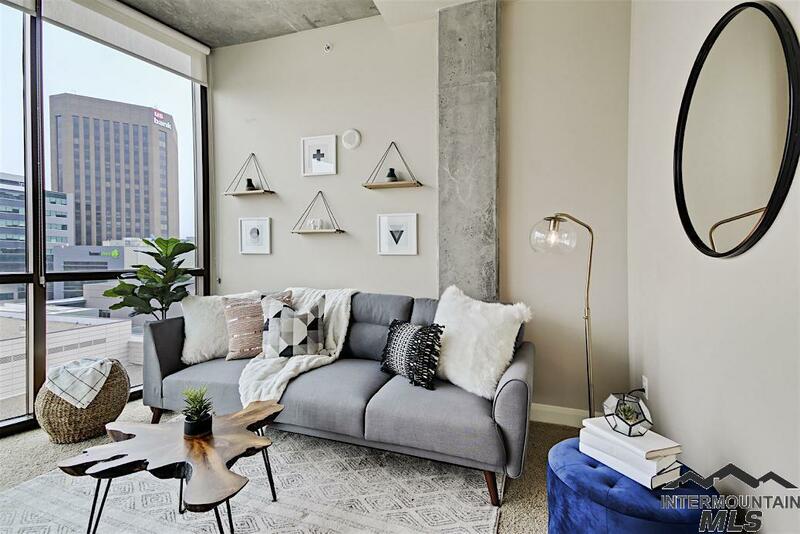 This contemporary condo features all the ambiance of downtown metro living with convenience and style. 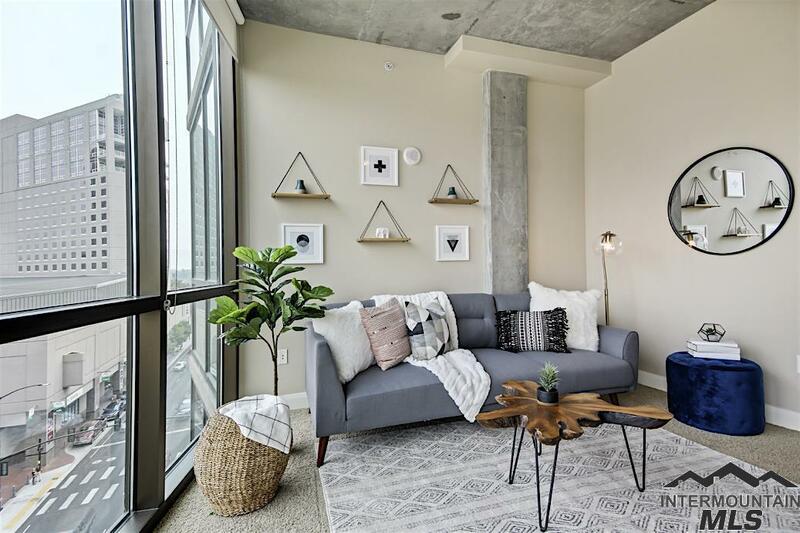 Chic industrial design with cork floors, 10 ft ceilings, huge windows, Stainless kitchen appliances, custom Murphy Bed, washer/dryer, refrigerator included. 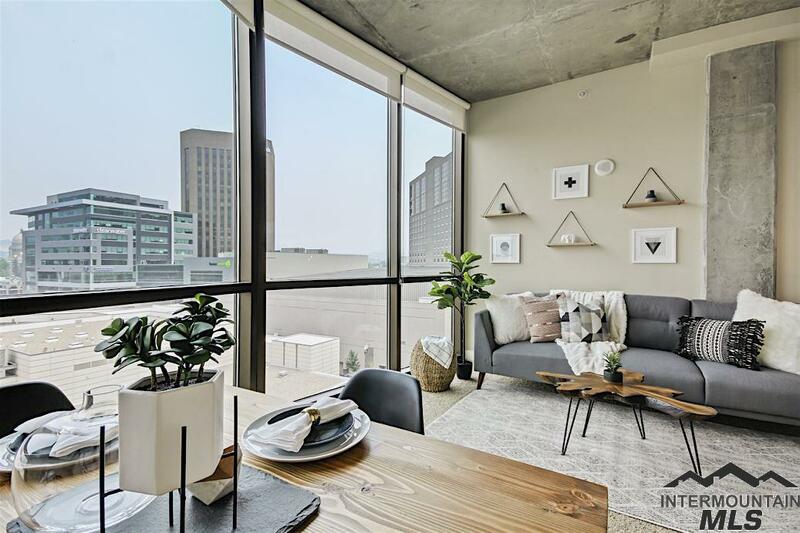 Incredible views of the Downtown Skyline and mountains beyond. Super convenient location, walking/biking distance to all the shops, restaurants, bars, BSU, Capital complex.